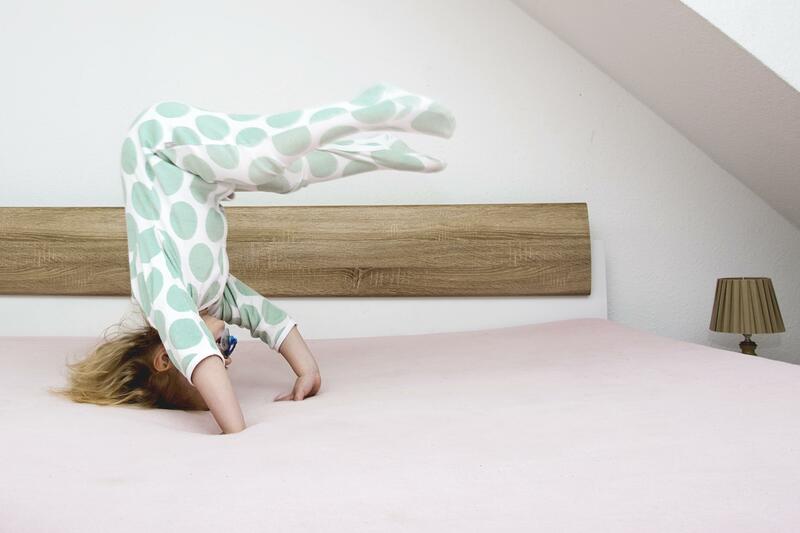 Which worries you more: The risk of fire or the risk of chemical flame retardants in your kids’ pajamas? It’s a question faced by parents across the country. “I think both my husband and I have accepted that freaking out is an integral part of being mom and dad,” said Cory Miller, a Washington, D.C., mom of two who’s expecting a third. But she does put some concerns over others. “The risk of chemical flame retardants concerns me more than the risk of flammability, mostly because there are so many other measures we can take to safeguard our family from fires, like having our smoke detectors checked regularly,” she said. Miller may not know it, but she’s applying 2017 logic to a 1970s regulation. Smoke detectors weren’t required in the early 1970s, but Congress decided that flame-resistant children’s pajamas should be. To comply, manufacturers started adding a flame-retardant chemical called Tris to kids’ sleepwear. Then, in the late 1970s, scientists discovered Tris was carcinogenic. It was like public opinion whiplash. The Consumer Product Safety Commission moved to ban Tris from pajamas and manufacturers ended up voluntarily removing it. The Tris was gone, but the fire safety requirement was not. So how do manufacturers meet that requirement now? Are they substituting some other, mystery chemical to make children’s pajamas flame retardant? A couple years ago, I tested nearly 30 pairs of kids’ pajamas at two certified labs for a “Dr. Oz Show” investigation. We asked the labs to screen for every flame-retardant chemical they knew of – and not one pair of pajamas tested positive. Industry insiders told me they were not surprised by our results because manufacturers rarely use the chemicals in children’s pajamas these days. The Consumer Product Safety Commission confirmed that it is aware of just one flame-retardant chemical used occasionally on loose, all-cotton pajamas. Read fiber contents. Look for a label that says “100 percent polyester” and “flame resistant.” It’s fine for polyester children’s pajamas to be baggy, because the fabric is flame resistant. Follow care instructions. Some tags on polyester pajamas warn against using fabric softener, chlorine bleach or liquid soap. It’s unclear how these could diminish the flame-resistant properties of the polyester, but manufacturers are the experts on their own fabric, so follow their washing and drying instructions. Yellow hang tag. By law, cotton pajamas must bear a yellow hang tag warning that they are not flame resistant and must be worn snug. Look for this tag, which shows the manufacturer has created cotton pajamas in a tight-fitting shape that meets the flammability standard. Do your part by buying the correct size for your child to ensure it fits snugly. Be warned, though: I was easily able to find cotton nightgowns for sale on major websites that were manufactured overseas and do not bear the yellow tag. No daytime cotton for sleeping. If you want your children to wear natural cotton to bed, stick with clothes that are made for sleeping. Do not allow your children to sleep in billowy T-shirts, boxer shorts or sweats, no matter how comfy they may seem. Again, the fear is that oversized cotton clothing can more easily drape into an open flame, and there is lots of air between clothing and their body to accelerate a fire. No homemade PJs. Whether you sew or simply enjoy buying handmade clothing from websites such as Etsy, beware. I got nearly 2 million results when I searched for “handmade girls’ cotton nightgown” online. Cotton nightgowns are not tight-fitting and do not meet the CPSC’s fire-resistant standard unless they are treated with flame-retardant chemicals. Small-time sellers often don’t know about the federal regulations and don’t comply. If you, like Miller, are more worried about flame retardants than flames, then avoid pajamas made of fabrics other than polyester or tight-fitting cotton because they could contain chemicals. What else should you look for? What your child likes. “My daughter wears only short-sleeved nightgowns.” said Miller. “And my son insists that all his PJs feature a vehicle of some kind.” No problem – as long as they are made of polyester or tight-fitting cotton. Leamy hosts the podcast “Easy Money” and is a 25-year consumer advocate for programs such as “Good Morning America” and “The Dr. Oz Show.” Connect with her at leamy.com and @ElisabethLeamy.